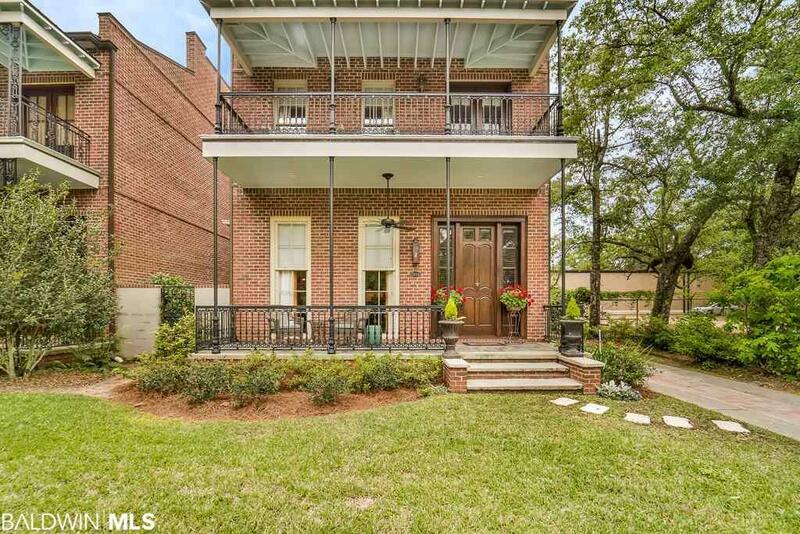 This home has all the New Orleanss historic flavor and just a couple blocks from downtown Fairhope. 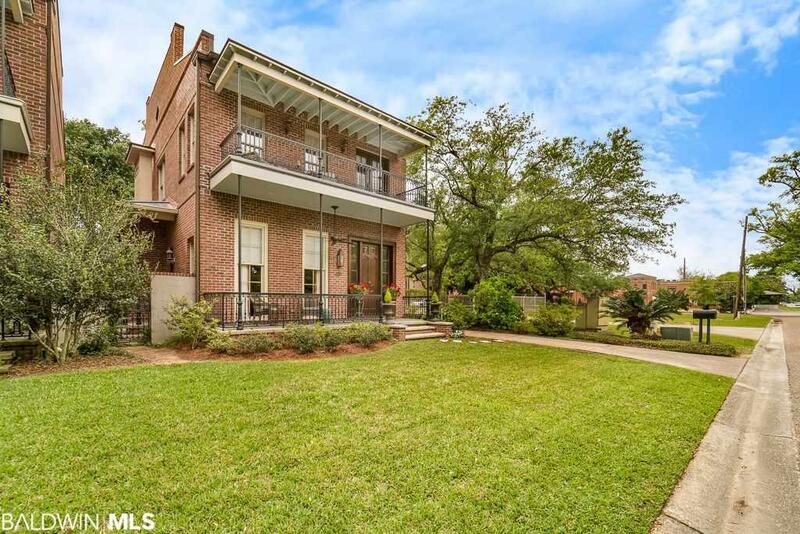 Exquisitely detailed French creole two story home with a Slate front porch, gas light and a mahogany front door. 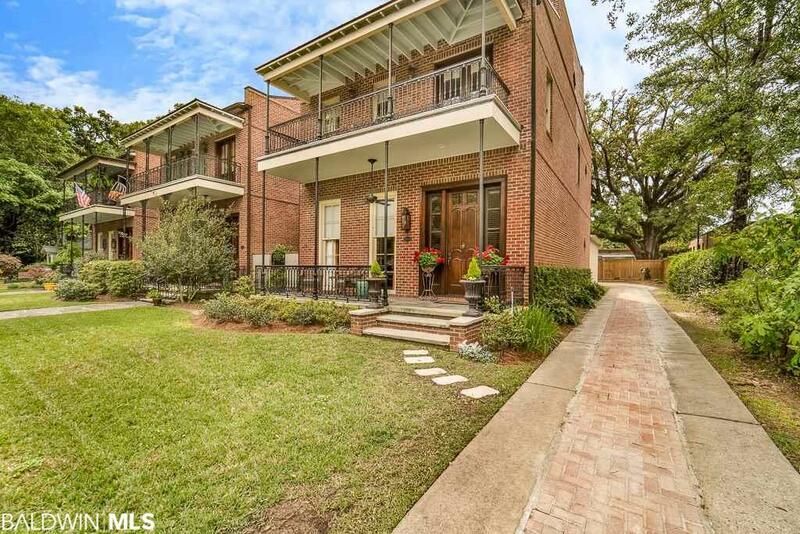 You will be immediately charmed with the 12 ceilings and beautiful wide plank vintage pine floors. Tucked behind a wrought iron gate is storage under the stairs to create a wine cellar. Bookcases lead you down the hall to the master bedroom suite. The Master bath was redone in 2015 to match the old-world flavor of the rest of the home and includes a beautiful walk in shower and marble countertops. First floor H & A is 4 years old and includes a guardian Air purification system. The galley kitchen opening to the great room includes SS appliances, walk in pantry, breakfast bar and an intimate dining area overlooking the 44x 6 courtyard. Second level includes a cozy den and opens to a 24x6 balcony. Generous Hall bookcases and a guest coffee bar station with fridge and sink are right outside the 2nd bedroom. The 3rd bedroom is being used as an office. Washer and dryer could be moved upstairs for the second master suite and that existing space could fit an elevator if needed. Seller did add the double car garage at the rear. The 6ft. privacy fence was added across the back plus plantings but also designed for additional guest parking space. Yard care is included for the each of the three homes and averages $140 month. The $25 HOA dues covers the common area annual insurance. Move in ready and easy to show! All information provided is deemed reliable but not guaranteed. Buyer or buyers agent to verify all information. 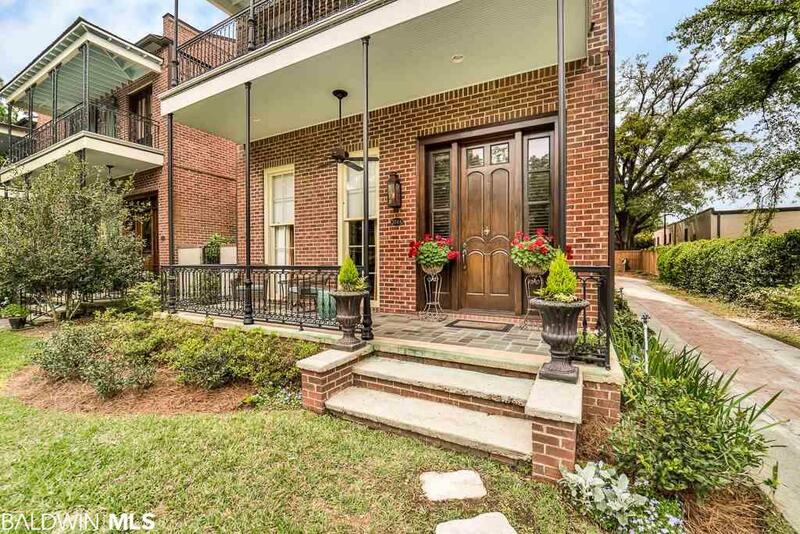 Listing provided courtesy of Coldwell Banker Reehl Properties Fairhope. Listing information © 2019 Baldwin County Association of REALTORS® MLS.